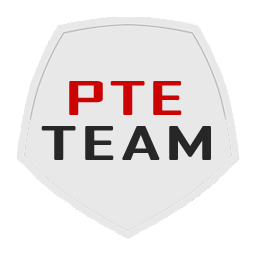 This file is the new option file for PTE Patch 2016. Thanks to Mackubex for creating the file. Many new transfer updates have been applied to this file. Latest Transfers based from Transfermarkt.com (as of 1/15/2018) such as Lucas Paqueta to AC Milan, Cesc Fabregas to AS Monaco, Dominic Solanke & Nathaniel Clyne to Bournemouth, Brahim Diaz to Real Madrid, Jeison Murillo to FC Barcelona, Munir El Haddadi & Maximilian Wober to Sevilla, and more! Eredivisie (AZ, Ajax, Feyenoord, PSV, Twente, Vitesse), and Turkish Clubs (Besiktas, Fenerbahce, Galatasaray). Updated Squads & Formation for all clubs in the Premier League, La Liga, Bundesliga, Serie A, Ligue 1, Eredivisie (AZ, Ajax, Feyenoord, PSV, Twente, Vitesse), and Turkish Clubs (Besiktas, Fenerbahce, Galatasaray). Updated Managers & Rival Clubs for all clubs in the Premier League, La Liga, Bundesliga, Serie A, Ligue 1, Eredivisie (AZ, Ajax, Feyenoord, PSV, Twente, Vitesse), and Turkish Clubs (Besiktas, Fenerbahce, Galatasaray) for all Premier League Clubs (2017/18 Season). Added New Youth Players/Wonderkids to Some Top Teams. This is also has No Tattoos and is only compatible with PTE Patch. This is also has No Tattoos and is only compatible with PTE Patch.